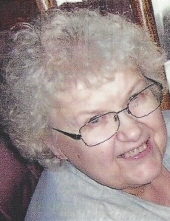 CHAZICK, Beverly Helen - Age 76, of Grand Blanc, died Tuesday March 19, 2019. A memorial service will be held 2:00 PM Friday March 29, at Sharp Funeral Home and Cremation Center, 6063 Fenton Road, Flint. Deacon Rod Amon officiating. Visitation will be held 11:00AM until time of service on Friday. Beverly was born October 10, 1942 in Flint, the daughter of the late John and Helen (Kovacs) Kononchuk. She married Gary Chazick Sr. on August 13, 1960 in Flint. Beverly enjoyed knitting, crocheting, reading and loved to cook and spending time with her K-9 companion Buddy. Surviving are: husband of 58 years, Gary Chazick Sr. of Grand Blanc, children, Catherine (Jeffery) Rouse of Durand, Gary (Theresa) Chazick Jr. of Goodrich, Cheryl Chazick of Burton, Mark Chazick (Pat Hourany) of Flint; grandchildren, Matthew (Lane), Jeffrey (Brittany), Amanda (Tony), Amy, Sarah (Jacob); great-grandchildren, Addison, Bevelyn, Luke, Claire, Elizabeth, Charlotte. Beverly is also survived by her siblings, John (Mary) Konochuk of Grand Blanc, Susan (Richard) Gruwell of Flint, Cindy Konochuk of Davison, Jane Konochuk; many nieces and nephews. She was also preceded in death by her sister, Joan Gauthier; brother, Stephen Kononchuk. Online tributes may be shared at www.sharpfuneralhomes.com. To send flowers or a remembrance gift to the family of Beverly Helen Chazick, please visit our Tribute Store. "Email Address" would like to share the life celebration of Beverly Helen Chazick. Click on the "link" to go to share a favorite memory or leave a condolence message for the family.